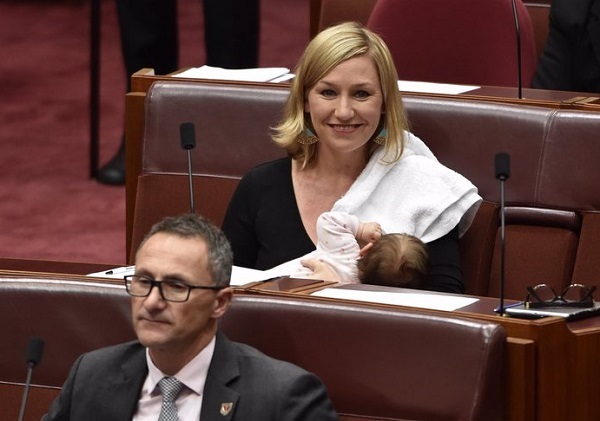 Senator Larissa Waters’ second daughter Alia made history yesterday, when she became the first baby to be breastfed in the Australian Parliament. Having only just returned to work following Alia’s birth a few weeks ago, Waters tweeted a photo of herself breastfeeding Alia, saying we need to see more babies in Parliament House. The Parliament must be family-friendly for members. It should set an example to other workplaces, and ensure it’s as accessible as possible for women no matter what their circumstances.